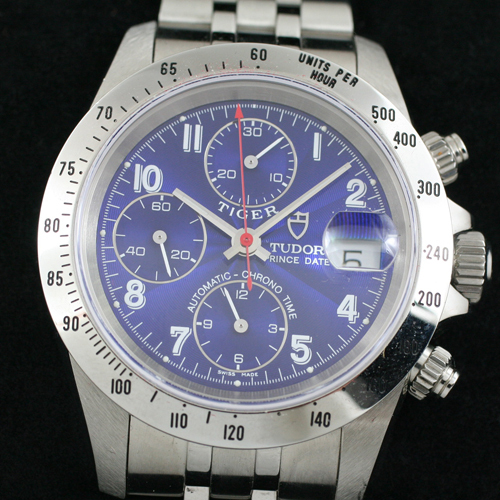 A brand new Old stock Tudor Tiger Chronograph ref 79280 with deep blue dial. 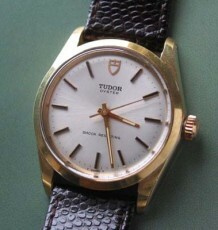 This watch comes with the original double boxes and is supplied on a Tudor metal bracelet. 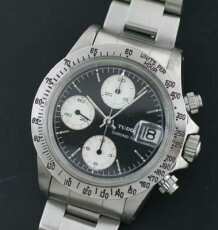 This is the so called Tudor” Tiger” chronograph, Ref. 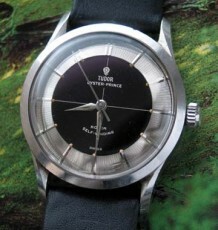 79280, which has been discontinued a while ago, since Tiger Woods no longer represents Tudor watches. This Tudor chronograph has already become a collectors item and is sought after by collectors as it reflected a short period of time when Tiger Woods was a spokesperson for Rolex’s Tudor lineup. This particular Tudor Tiger features a deep blue dial with “non-contrasting” blue sub-register dials. The solid 40mm stainless steel case features a stainless steel tachymetre bezel, screw-down chronograph pushers and a screw down Oyster crown, which was designed to seal the case against water penetration for up to 100 m/330 ft (please note that we do not guarantee water resistance on any watches we sell). The watch is fitted with a Rolex modified automatic Valjoux 7750 movement, which has been the industry standard in terms of reliability and accuracy for years. This Tudor Tiger chronograph is in unworn like new condition and everything works flawlessly as you would expect. This watch will be delivered with the original double box set and the instructional booklet (pictured in the centre of the large photo) but no warranty card. 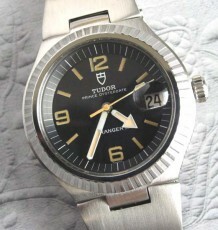 The original store hang tag is still attached to the original Tudor steel bracelet.